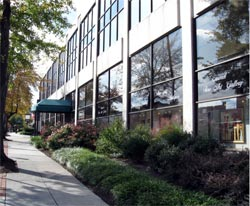 Contact PDWDC - Top-Rated Dentist Near Washington D.C. 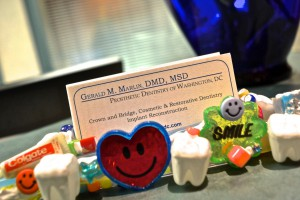 Contact Prosthetic Dentistry of Washington D.C.
Dr. Gerald Marlin has the experience and training to help you achieve a natural-looking, radiant smile. Call 202-244-2101 today to schedule your initial consultation at Prosthetic Dentistry of Washington D.C. Our prosthodontic specialist and his team look forward to providing the excellent results you deserve! 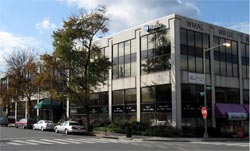 Our Washington DC dental office is conveniently located in Friendship Heights DC/Chevy Chase MD and easily accessible by car or Metro (one block from the Friendship Heights Station). Take Wisconsin Avenue to Jenifer Street (one block South of Western Avenue). Coming from Maryland, turn right onto Jenifer Street; coming from the District, turn left onto Jenifer Street. Parking is conveniently available in the Jenifer Street Mall garage (44th Street) or diagonally across the street at the Mazza Gallerie garage. Take Wisconsin Avenue to Jenifer Street (one block South of Western Avenue). Coming from Maryland, turn right onto Jenifer Street; coming from the District, turn left onto Jenifer Street. Parking is conveniently available in the Jenifer Street Mall garage (44th Street) or diagonally across the street at the Mazza Gallerie garage. Take the Red Line to Friendship Heights and exit to Jenifer St. At street level, turn left and proceed to the corner of Jenifer Street and Wisconsin Avenue. Turn left on to Jenifer St. Walk one block to the corner of Jenifer Street and 44th Street. Enter the building on 44th Street at the green awning and proceed up the steps to the upper mezzanine level. The dental office is at the end of the hall on your right.